I don’t really remember when I first noticed that I had psoriasis. It was just…there. I was never the type to really be ‘looks conscious’ when I was younger so didn’t know that it wasn’t normal to have. I just sort of assumed it was a regular thing that everyone got or had. But no. It wasn’t. I think the first time I genuinely thought my skin was different was when I was in a history class in about year 9 and someone said “oh, has it been snowing outside” *sniggers* and I didn’t really get it. Then it clicked, he was talking about me and the psoriasis flakes that were on my shoulders. I am pretty sure that was the lowest I felt and I think it will be a memory that is burned into me for eternity. Still now when I think about it I choke a little bit and bite back emotions tied to that day. After that I was paranoid about everything – whether people could see it, whether my clothes covered it, whether my hair covered my scalp properly, if there was anything on my shoulders or on my clothes…the list just goes on. I stopped the ability to dress freely and became extremely picky about what I wore. I had to wear: tights/leggings – couldn’t show the psoriasis on my legs, jumpers/cardigans/long sleeved everything – couldn’t show the psoriasis on my arms or back, nothing with a sheer material – didn’t want people to see it through the clothes. I developed a tick for brushing my shoulders and checking that there wasn’t anything visible there. I also began to wear make-up that covered the psoriasis on my face and neck. I moisturized a lot. If I was to wear something different or not within my comfort zone I would constantly fret that people were seeing it and judging me. I went to the Doctors who referred me to a dermatologist. 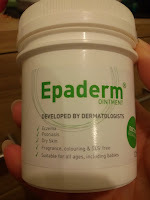 I was diagnosed and given treatment, ointments, lotions and potions, shampoo etc...I was given steroid ointment and it worked pretty well, reduced the look of it and made me feel a lot better. But it came back, as it always does, and just seemed to get worse and be in more and more places so I was given UBV treatment. I have extremely fair and sensitive skin (I can be outside in English “sun” for an hour and end up lobstered) so the length of my treatments started out at 5seconds and went up to about 25seconds – I went to UVB about 3 times a week for a couple of months at a time. I just wasn’t really for me – my skin would go red and it just made me feel uncomfortable every time I went. Plus sometimes I would go before school so people would ask questions as to why I was red and it just was no good for me. Overall, I just didn’t want that form of treatment, plus it never seemed to make a difference for me. Yes it worked…gradually, but it was more stress enduring and I wasn’t really fond of voluntarily exposing myself to UV rays. I stopped using steroid ointments as I wanted to find a better way to help my skin. I changed a lot of stuff. 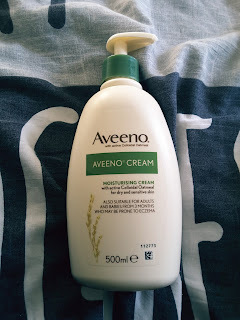 I went through most store bought moisturizers to look for one that worked and then got sick of it all when I went to university and couldn’t be bothered anymore. Biggest mistake of my life as funnily enough – it didn’t go away and it did get worse. Plus with alcohol, bad food, stress and terrible sleeping patterns – university was probably the worst time to stop looking after my psoriasis. My sister and I were sat at home one evening and got onto the topic of my psoriasis. 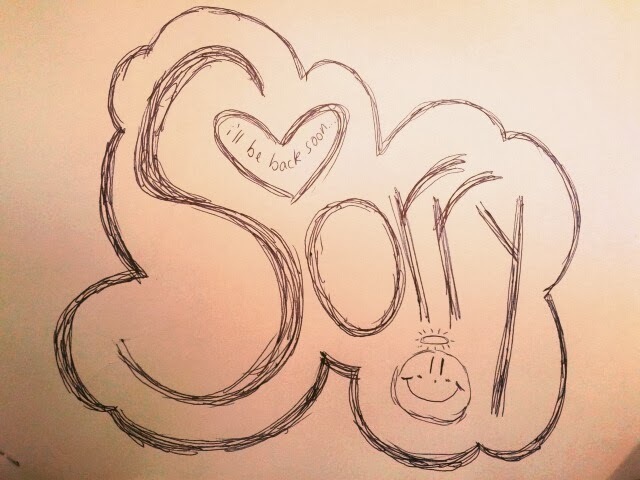 She asked me why I never spoke about it, and I told her simply – I didn’t want to and I don’t like to. She asked me why, and I told her – it makes me feel uncomfortable and you wouldn’t understand as you don’t have it. She asked me how that made me feel, and I told her – as though I am alone with no one to talk to that would just get it and get how it truly makes you feel. She looked at me and said – well, why don’t you be that someone who talks about it so others don’t feel alone. I didn’t know what to say to that, she had a point and it felt as though I could. We looked into it and it didn’t seem like there were many places out there that people could look for advice that weren’t “cure to psoriasis is…”, “the only way to cure psoriasis is…”, “take this tablet and your psoriasis will be gone” mumbo-jumbo!! There were and are some wonderful blogs dedicated to psoriasis out there and I wanted to be a part of it and to contribute to it. So it began, I decided that I wanted to just write my views on products that I had tried, look into information related to psoriasis and share what I had found and then maybe one day, write some personal experiences that I have had that might give others comfort to read. I am not preaching to you that I know the cure or that the products I have tried will cure your psoriasis. All that I want to do is share with you stuff that I have experienced so you might feel some comfort and know that you are not alone. The worst I ever felt was when I felt alone and like I was an alien in a crowd of people. I don’t want others to feel that way; to feel socially-excluded, to feel alone, to feel isolated, to feel different, to feel hopelessness, to feel irritated and annoyed, to feel stressed, to feel sad and anxious, to feel ugly and deformed, to feel overwhelmed and broken-down. If you feel any of the above then you are why I am doing this. I still have a lot of developing to do myself. I am not fully accepting of it. If someone granted the ability to change one thing about myself it would be my psoriasis - not my nose, not my size 8 feet, not my waist line, not my chubby thighs, not my elf ears – none of that. But in reality, those chances don’t come about so I have to live with the genes I was dealt and get on with it. I make a conscious effort to not complain that it isn’t fair and to just sort it out. I have grown as a person from it and to be quite honest; having psoriasis has been a huge part of why I am the way I am. I am getting better with confidence levels and I am slowly learning that the opinions of others when related to my psoriasis are irrelevant to me. But I still have a lot of learning to and a lot of experimenting with products. I think that when it comes to something that I am going to have to use for the rest of my life; it better be affordable to buy regularly, it better smell good, it better not feel horrible on my skin, it better look good, it better not be time consuming and it had better work well! So that is what I am trying to do here. I want to find something that isn’t prescribed that anyone and everyone can buy. My main concern is whether it helps psoriasis but listed above are also factors that I care about – if you don’t, then good for you, but I do! 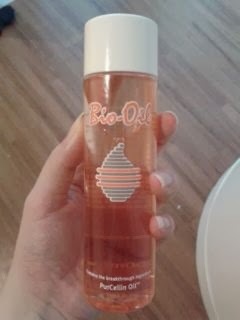 I want a product that pleases me overall and I can happily use for a long time. It was something that I was doing anyway so why not share it with others. I hope that my words give comfort to someone out there that doesn’t know where to turn or where to start. 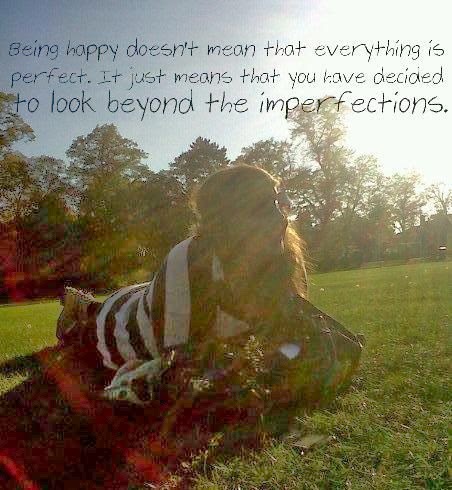 At the end of the day, I am just an Average-Joe who is trying to win a battle with her skin and keep a smile on her face. Hello I have suffered with psoriasis for over 30 years and have tried many different treatments over the years to no avail. I recently started using an all natural cream called Indigo Healing Cream made with the indigo powder. I am now about 95% clear with no side effects! If anyone would like to give it a try you can get a free sample at www.indigohealingcream.com The shipping is also free in the US. Psoriasis has cure. It needs time to cure and diets and medicines to control and get rid of it for good. Don't get frustrated by the internet blogs and websites and doctors saying that there is no cure. First of all understand the disease, its not an external skin disease that can be treated with skin lotions and creams. It is an internal immune disorder which causes the patches and scaly things on our skins. Till there is no explanation on why and how it occurs. Doctors trained in foreign medicine will provide only costly creams and lotions to apply on the patches to control the occurring. But the disease is an internal disorder and should be treated internally. For now I am taking these medications which are herbal and very effective that it controls the occurring even if i don't apply the lotions. But I am not totally cured yet. I just started the medications and the results are amazing. This is not an ad for a medicine but an eye opener for people like me who think that because of psoriasis my life is over. Please don't give up. I will share my progress and some other techniques i used to control the psoriasis. Once i completely get cured i will get the license and directly outsource the medications from the doctor who prescribed these medications. I am saying this because before I met this doctor all other doctors who did there studies abroad never had a clue that psoriasis can be cured. When I went to this doctor who by fate was just 300 meters from my house told me who the hell told psoriasis cannot be cured. I was shocked listening to him(at first i didn't believe him) but he was a government approved doctor. Fellow victims of this psoriasis keep your hopes up as I am on the road to recovery and soon you will too. I am glad I stumbled onto your blog. My husband has psoriasis and has tried a lot of creams, lotions, tars etc over the years. Even light treatment which didn't help as he just ended up burnt. He has had some results with some things though and I thought I would mention them just in case they might be of any help to anybody. He uses a cream called Elocon prescribed by the doctor and it seems to have a good effect on psoriasis on his head/face. It thins the skin so you have to be careful with it but so far it has worked well and his head is currently clear of the scaly patches and redness. Another thing he has tried is Neutrogena Nordic Berry body moisturiser which you can buy from supermarkets and chemists. It works well on the scales which build up which allows other creams he uses to actually get to soak into the affected skin. Using it after having a bath with a glass of milk with some olive oil mixed in can help. Another thing he tried via the doctor was Cyclosporin. 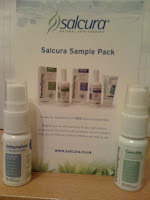 It is a course of drugs taken over around a 16 week period and it lowers the immune system to help fight the psoriasis. It did actually clear it up completely and he went around 6 months until it came back again. It is sadly not a cure but I think it gave him some much needed relief for a while. Best of luck with your blog. It has lots of very useful info and I am sure is helping a lot of people know they are not alone with this condition. I am in the UK so do not know if any of the things I mentioned would be available in other countries. I just re-read that and should point out that the milk with olive oil should be poured into the bath water. Don't drink it. please try the indigo naturalis ointment, which works fine. I was so desperate that I tried tar preparation, tropical steroids and anthralin. I was also given light therapy but nothing really worked permanently and the psoriasis always came back. I knew that there had to be another way. I searched long and hard and finally came across some simple natural remedies that finally made my embarrassing and frustrating psoriasis disappear for good...to the amazement of my doctor. I was looking for something natural for my husband psoriasis and I found foderma serum. It took several weeks to work but grafually began to work really well. The area is now clear amd restored. I can relate to this article because for about 10 years I dreamed of healing my Psoriasis. I tried just about everything I could think of but nothing seemed to work. Then I did something different and now I’m healthy and handsome again. I healed my Psoriasis in 7 days. I have horrible psoriasis and have tried EVERYTHING Rx and over the counter. Foderma serum is the ONLY over the counter product I plan to buy. I work in a medical office and have let some of the patients try - they love it too and have ordered and then came back to say how much they love it. 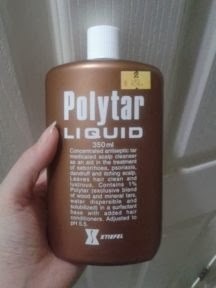 It is not a miracle cure or a magic wand for true horrible psoriasis, but it helps me a lot and I hope it helps you too. After suffering with psoriasis for 27 years I accidentally discovered an effective natural treatment - blueberries. I have now been clear for over 2 years :-) Eat 15 to 20 a day for a month and you should see a significant improvement. 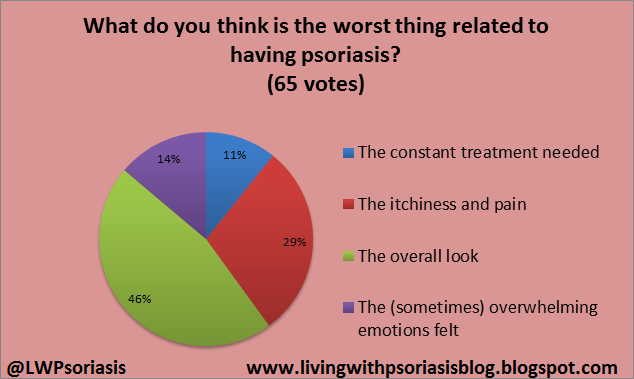 I started a forum on the psoriasis association, 72% of sufferers have seen significant benefit. Good luck.